A friend recently made a delicious red velvet cake for her husbands birthday! And above are the results of her 2 young children assisting in helping her ice and decorate the cake. They were delighted with their artwork! Mix butter,sugar and egg together until smooth batter. Seperately mix the cocoa powder, colouring and extract to a thick smooth paste. Add to the butter batter and mix until colour evenly distributed. Now mix all the other ingredients into the mixture. Mix well. When cupcakes or cake is cooled, you can place cream cheese icing on. How to make cream cheese icing: mix the butter and icing sugar together with your mixer and then add the cream cheese until fully incorporated. Beat until frosting is light and fluffy. Do not overbeat, since it can become watery. 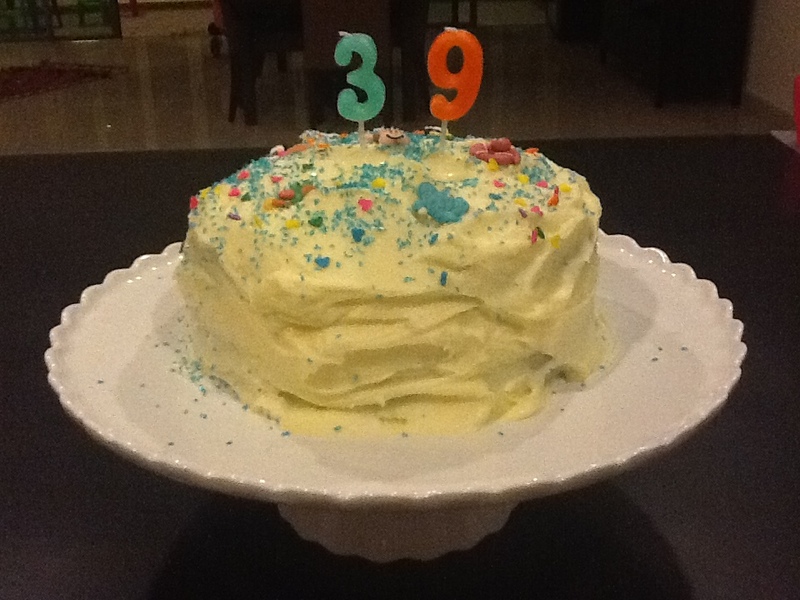 This entry was posted in Baking as easy as 1..2..3, Icing for idiots and tagged bicarbonate of soda, buttermilk, cream cheese, cupcakes, red food coloring, Red velvet cake by angelb38. Bookmark the permalink.